So, I was invited the other day to an interesting event at Archery Games Boston, in Chelsea. 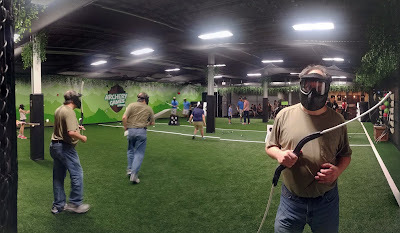 It was described to me as dodge ball meets laser tag meets Hunger Games. Basically, you shoot bow and arrows at each other. I couldn't resist the opportunity. If you get the chance, I"d give it a shot, too. 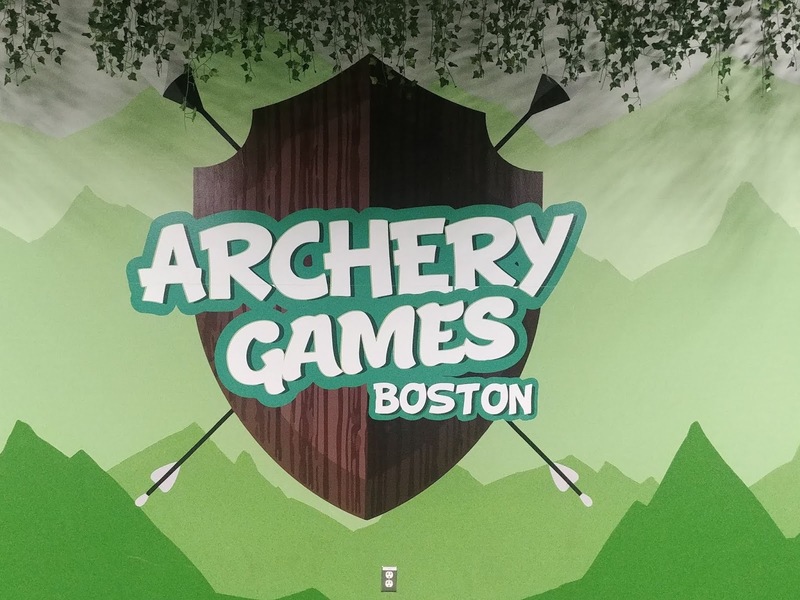 The game allows two teams to battle it out with bows and foam tipped arrows in the Archery Games arena. The game-play is similar to dodge-ball and the ultimate objective of the game is to tag all of the opposing players with arrows in order to eliminate them from the game. There is also no painful marks or bruising from the arrows. Last Thursday was D-Day... when I arrived at the place and looked around I was wondering what in the world did I sign up for. 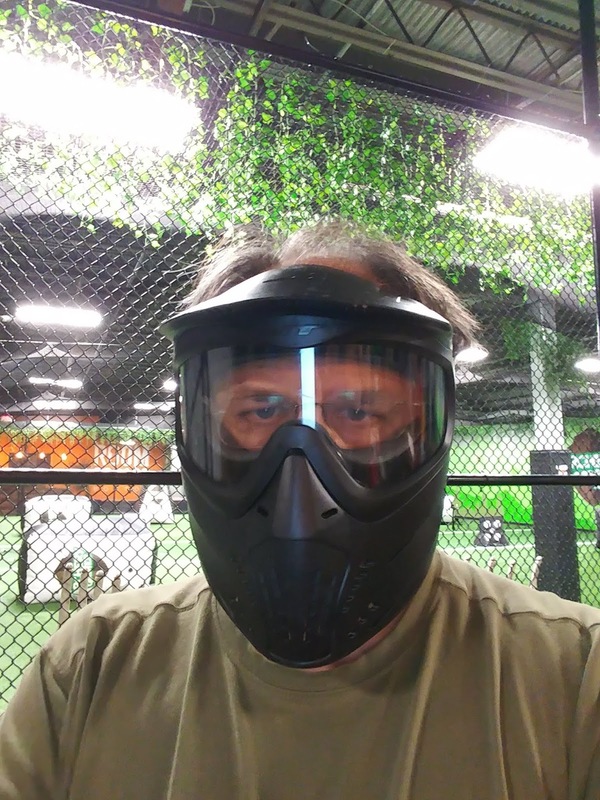 Not that it looked that difficult, but at 50+ and everyone else showing up probably in the late twenties or thirties, and some bringing their kids, I was just wondering how in the world I'd last. We had some practice first, then the games started. They divided us into two teams quite randomly then described each game. 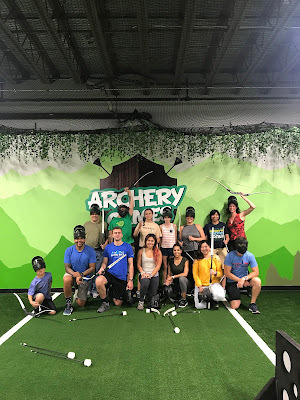 You start at opposite ends and must run to the middle to get an arrow before you can shoot your opponent. When in the middle getting arrows, you are safe for three seconds. Otherwise, you have a few things to hide behind. Then, basically, if you get hit with the arrow, you're out. 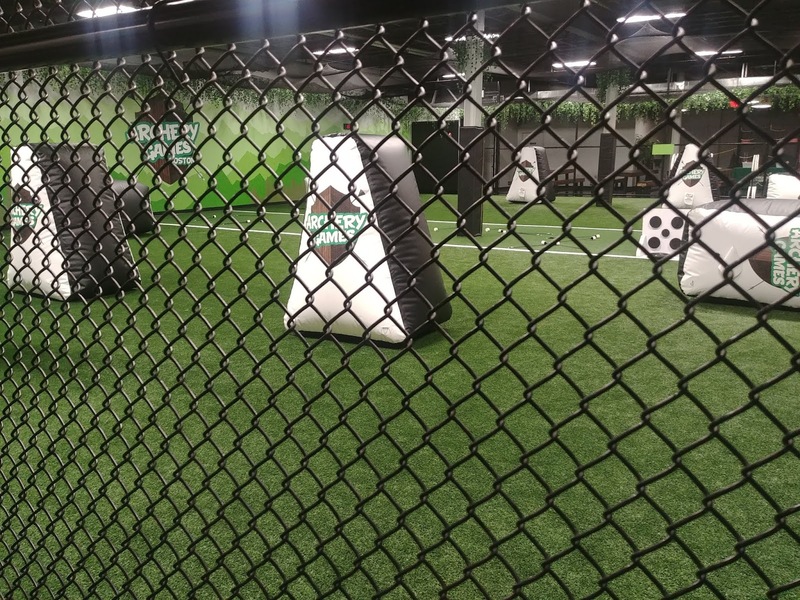 If one of the remaining players hits a target on the field, you can be back in. 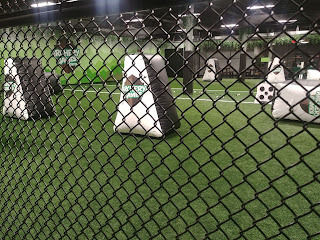 Some games, they added balls to the matches, where you combine dodge ball with getting hunted with arrows. One game, they called in royalty, where you have to shoot just one person, if it is the one the other team picked as their royal. 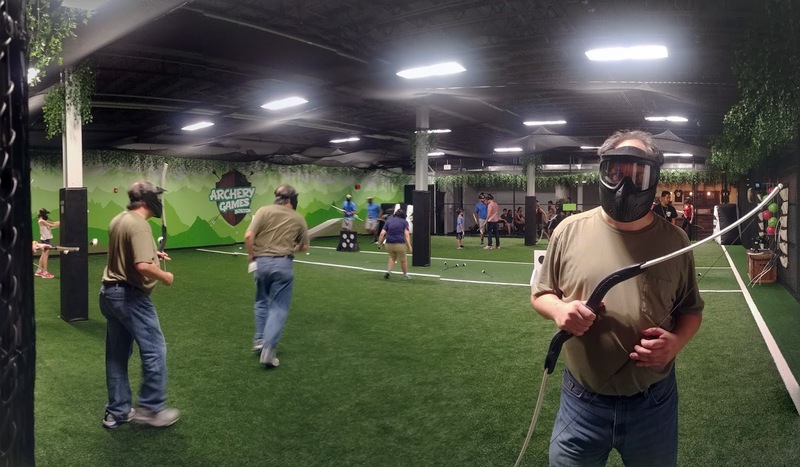 You do have to wear a safety mask when you're playing. I took it off between games to help me catch my breath. I also sat on a foot locker on the sidelines to help, too. The games are tiring as you're running around for like 3-5 minutes per match, maybe a little longer, sometimes shorter. The shorter matches were because everyone on one side got knocked out. I actually survived the first three or four matches without getting hit. I think they felt sorry for the old guy, thinking he wasn't much of a threat. There were two hard parts when playing. The first involved loading the arrow into the bow. When you're rushed, this wasn't always easy. The second involved keeping your elbow up. Unless you keep your elbow up, you don't get any force behind the shot. Doing well with these two tasks helped me out in the last match. It was a single elimination match, with no teams. Somehow, I won that one. Yes, I was the big winner of the evening. These games were four nights ago now. I'm still sore. I didn't bruise but going up and down stairs is happening slowly. I am fine walking, though, as I walked around Boston and the Marshfield Fair for hours this weekend. Will have to take my son there at some point.They did offer free Sunday morning sessions for kids in August, but those are over. Definitely something to do again. Here's the whole crew that played that night. This was a before picture. We looked a lot worse after the evening happened.